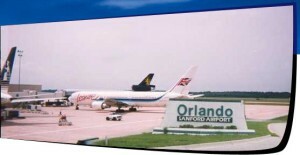 More than 2 million people passed through Orlando Sanford International Airport Last year. And more accurate – a total of 2,033,620 passengers breaking the record of record of 1,840,453 set in 2008. Airport officials announced the statistics on Monday and are predicting an even better year in 2014, when they expect passenger traffic to surpass 2.2 million. The Airport’s main carrier, domestic airline, Allegiant Air was responsible for more than 77 percent of the total traffic with 1,577,098 passengers. Allegiant inaugurated 10 new destinations in 2013 and is currently considering adding a service between Wichita and Orlando. The figures run counter to what has occurred at Orlando International, Central Florida’s primary airport about 25 miles south. OIA served 29 million passengers through October, the latest month for which figures have been released. That was down 1.5 percent compared with the same period a year earlier. Officials at the airport expect to release year-end figures in February. Sanford’s traffic has increased by 12 percent compared to 2012. While total international traffic was down 8% to 417,858 in 2013, scheduled international traffic was up 8%. Scheduled international airlines ArkeFly and Icelandair both saw an increase in passengers for the year. The United Kingdom (UK) charter passenger traffic was down 10% with 323,318 passengers in 2013. A highlight of the UK charter business was when, in July, Thomson Airways inaugurated the first regularly operated 787 Dreamliner flight to the state of Florida. 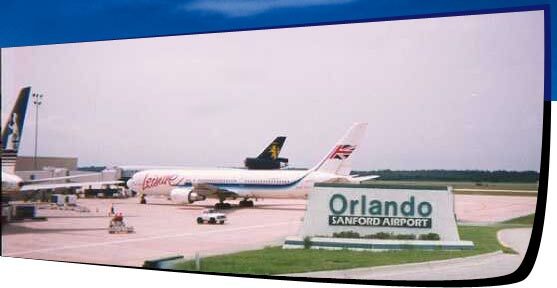 By 2030, Sanford’s airport plans to handle more than 3 million passengers annually. To accommodate that growth, the airport’s master plan calls for more than $364.5 million of improvements that include extending runways and taxiways; constructing a new international terminal and parking garage; and expanding passenger terminals.